I've always been a fan of Origins. Okay, so considering I've only ever tried a couple of products I can't really call myself a fan, but its a brand I've always been intrigued by and the few things I have tried I've completely adored. There aren't any Origins counters around where I live, so whenever I am nearby one I will, without a doubt, be stood for absolutely ages gawping at all the amazing products. I just love the mantra behind Origins and the fact they make products that really work and never fail to deliver. 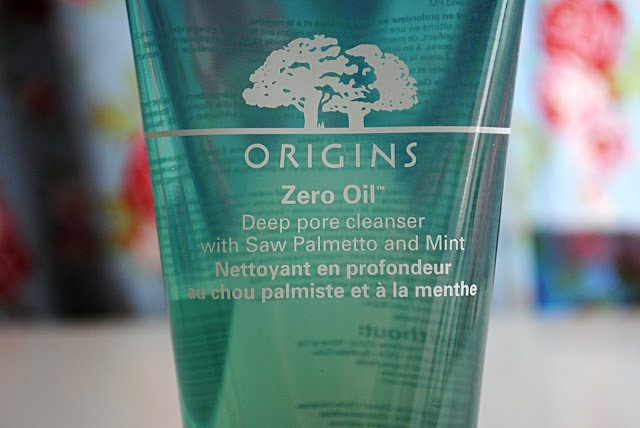 If there is one range from Origins that gets me seriously excited, it has got to be the Zero Oil range. I suffer with really oily skin and spots so the products in this range are ideal for me. I was recently sent an couple of products from the range to try; the Deep Pore Cleanser and the Super Spot Remover. First up; the Deep Pore Cleanser. Now, I was a little apprehensive about using this at first, only because I've been using Simple's Exfoliating Wash religiously, and whenever I stop using it I seem to break out. Luckily though, this didn't happen when using the Zero Oil Deep Pore Cleanser, which is a plus point straight away. The cleanser is your basic face wash, which lathers up a bit when in contact with water, but not a lot, which I like. It contains Saw Palmetto and Mint which gives it a really fresh scent and make it really refreshing on the skin. It gently exfoliates but the thing I love most about this product is that it contains Salicylic Acid, my absolute favourite spot-fighting ingredient. I've been using this wash for a few months now and I absolutely love it. It has cleared up my skin SO much and my oil is much less of a problem. My skin hasn't looked this good in such a long time and I definitely think its down to this cleanser. My pores look reduced and I've definitely see a reduction in blackheads. It's a tad pricey at £17 but I think if it continues to keep my skin looking this good I will definitely repurchase. The Super Spot Remover is such a buzzed about product, and its clear to see why. Although you only get a tiny little bottle of product, a little really goes a long way with this treatment and it completely does what it says on the tin. I love using this just before I go to bed by dabbing a little bit on any pimples or spots I have and when I wake up in the morning the difference is incredible. It is slightly drying, and I have noticed it can sometimes dry out my skin a bit too much, but for the results it gives I really can't complain. You can feeling it getting to work as soon as you put it on - a sure sign of a good spot banishing product. I will definitely be repurchasing this product when it runs out, but I think it will last me a fair while as like I said, a little really goes a long way. It retails at £13 a pop which is pretty steep, but I don't mind paying it as the product works so well. 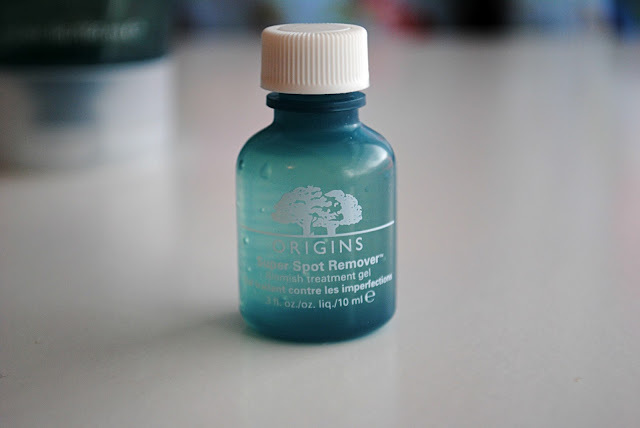 Overall I'm really, really impressed by these products, and Origins can do no wrong in my eyes. 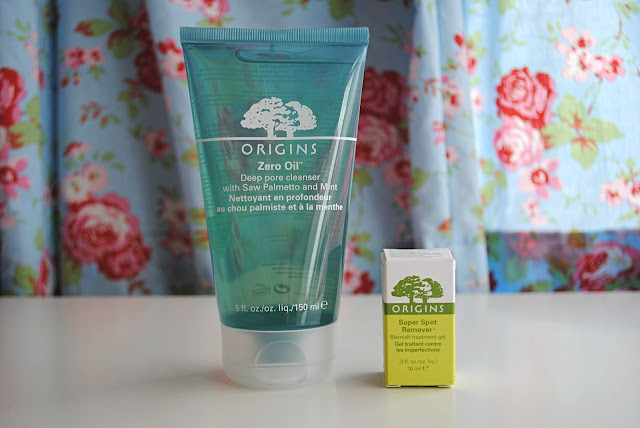 I'm definitely going to be checking out more of the products from their Zero Oil range as I'm already hooked! Are you a fan of Origins? Have you tried any products from their Zero Oil range?